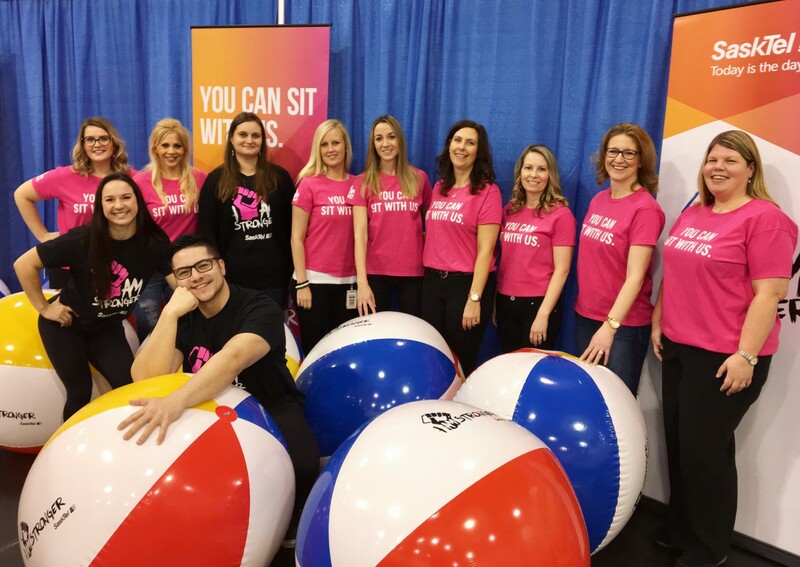 In celebration of Pink Shirt Day, on February 13th 2017, SaskTel and the I Am Stronger team held its first ever I Am Stronger Rally! With over 900 students in attendance, it was a jam packed morning filled with exitement, giveaways, prizes, and of course, awareness to the issue of bullying. For the event, SaskTel was thrilled to bring in an internationally renowned speaker, Dr. Sameer Hinduja, to present an informative and interactive presentation to the students on cyberbullying. A Professor in the School of Criminology and Criminal Justice at Florida Atlantic University and Co-Director of the Cyberbullying Research Center, Dr. Hinduja is recognized for his groundbreaking work on cyberbullying and safe social media use. Dr. Hinduja used ‘live polling’ throughout the event to interact with the students and shed light on how prominent bullying and cyberbullying can be in high school. 87% of students at the presentation identified with having been bullied in the past, which is a substantial number and only reiterates the fact that we beed to continue to bring awareness to the issue of bullying and continue to provide solutions. Dr. Hinduja did an excellent job of communicating what cyberbullying looks like and how it can be prevented going forwards. We believe it's events like these that truly have an impact on the students of our province. SaskTel is pleased with the success of this rally, and we look forward to continuing to promote kindness in our schools and communities through the I Am Stronger initiative!